Since historic times, first aid has been an important component of medical care. Nurses are often the first to deal with patients who are in need of immediate care, and it is vital for them to be updated with knowledge of emergency care practices. Essentially, first aid is the initial assistance given to a victim of injury or illness, before he or she can be attended to by a professional team. Very often quick medical treatment carried out with a clear head and presence of mind can save the life of the patient, and therefore the importance of first aid cannot be understated. Why is first aid so important for nurses? Emergency care centres are more often than not buzzing with action; and in the event of any serious mishap or disaster they will need all the expertise and skilled hands they can find. In such situations, the first aid and emergency care measures administered by nurses can often mark the difference between life and death. Nurses who are experienced in first aid become an invaluable support not only to the patients, but the information they can provide proves to be critical to professional emergency responders and medical practitioners. Potential tragedies can be downscaled into something that is manageable. In just six minutes, the human brain can become incapacitated due to lack of oxygen. Nurses administering first aid should have enough knowledge and expertise to ensure that the right methods of administering medical assistance are provided. An inept nurse who is unable to quickly assess and respond to the emergency need will be of no help in such a situation. When the right care is given, the severity of the emergency can be curtailed. First aid courses would normally cover basic life support scenarios such as resuscitation, choking, slings and bandaging, CPR, shock, bleeding, fractures, bites and stings, foreign bodies among others. The care given is usually temporary, till proper medical treatment by a qualified doctor can be availed of. Nurses should be calm and confident and establish a human connection with the victim as soon as possible. Patients may be in shock and will require a firm yet compassionate hand and emotional support. Nurses will need to gather any helpful medical information as soon as possible and note it down correctly so that the doctor can take over as required. In case of disasters, there will be a profound psychological impact also which needs to be handled with care. Always keep in mind that in any emergency situation, you should keep your wits about you. Be aware of your surroundings, and ensure that you yourself are not in danger. Survey the scene, call for help and perform first aid depending on the situation. Nurses at all levels in their career should keep themselves updated with the latest techniques and best practices in emergency care. Explore various first aid courses which should have topics ranging from primary assessment and accepted methodology in first aid for adults and children, right from basics through to the management of emergency disaster situations. 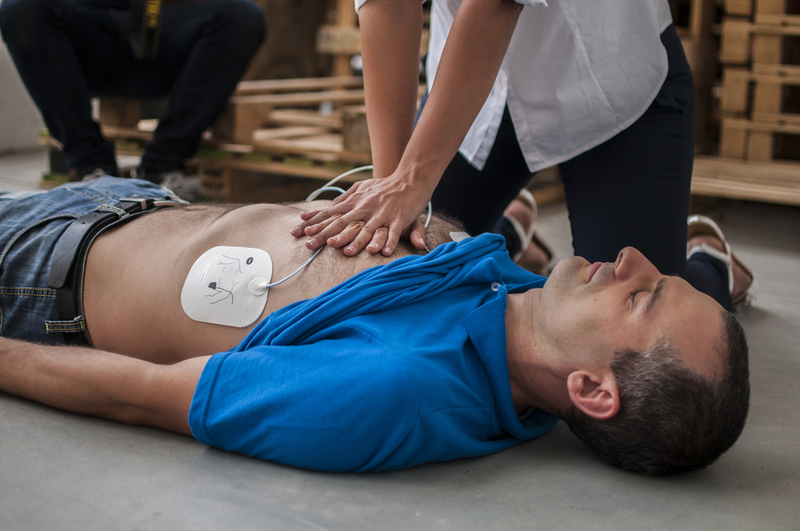 Undertake a professional development course in First Aid, and help to save lives!